Siggy's Good Food, the all-organic restaurant where aliens eat free, has announced that it's closing up shop on Elizabeth Street just north of Houston. 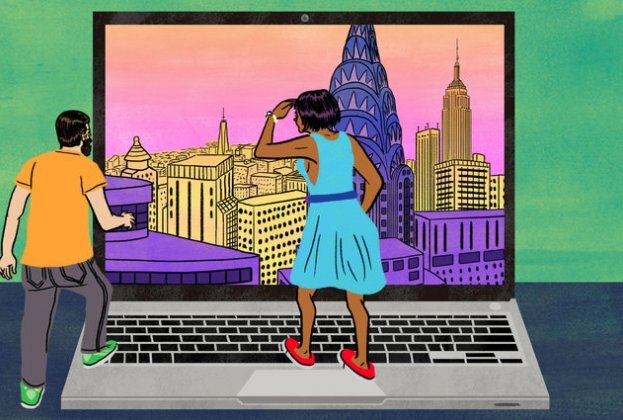 Saturday is the last day for service — in NYC anyway. 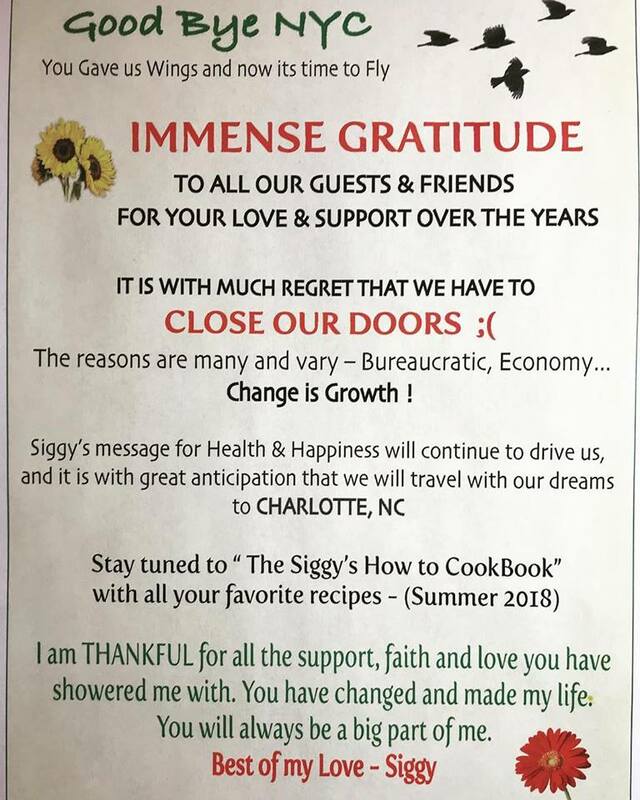 The farewell note that Siggy's posted on its social media accounts points to multiple reasons for the closure, including "bureaucratic, economy..." And Siggy's is moving to Charlotte, N.C.
Siggy's debuted on Elizabeth Street in July 2012. 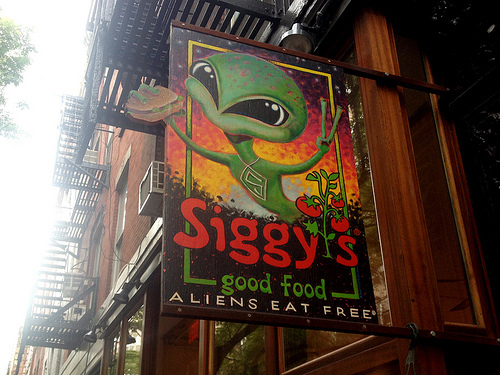 Owner Siggy Sollitto opened her first location in Brooklyn Heights in 2005. That outpost closed in 2015. [S]he said city regulations are making it tough to run a business in [Manhattan], citing the health department as a particularly pronounced source of headaches. 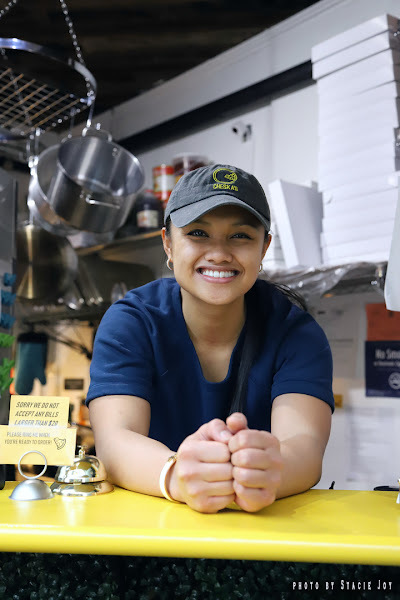 “The city administration is really making things impossible for a small business,” she said. Thanks to @ThisIsWeber for the tip! Many, many business owners have complained to me over the years about the bureaucratic hoops they had to jump through just to run their businesses, not the least of which were the bakeries La La Land—home of the best chocolate-chip cookie—and Cowgirl's Bakery on 10th street. Both of these defected to LA, of course. 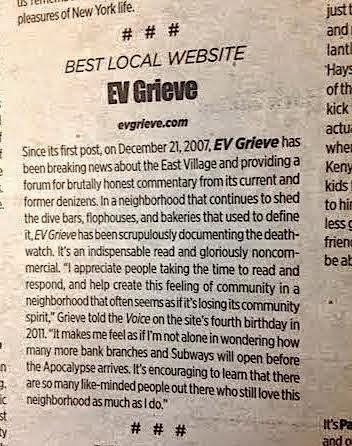 What, I wonder, is the city's end game in regulating so many small businesses out of existence, whether through refusing to pass any kind of commercial rent control, or making them jump through so many hoops they close up shop? 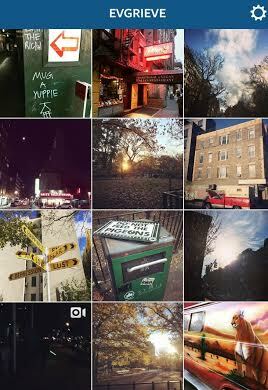 Not every space can be filled by a corporate chain, so what are they hoping to accomplish by turning so many stretches of our streets and avenues into store-free moonscapes? Gojira: doesn't it sound like the real target is the patrons of these vanishing businesses? 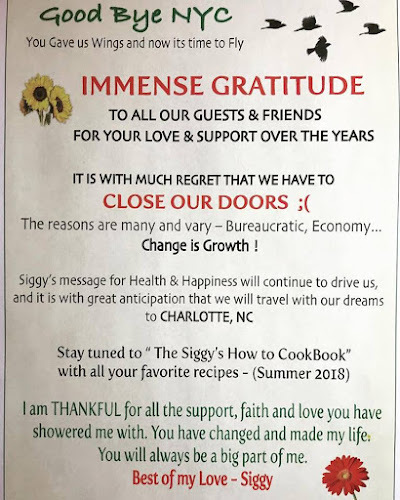 Removing the businesses is just the first step, but when the middle-class and lower middle-class people have nowhere to go for their groceries and incidentals, they might just get squeezed out, eventually. 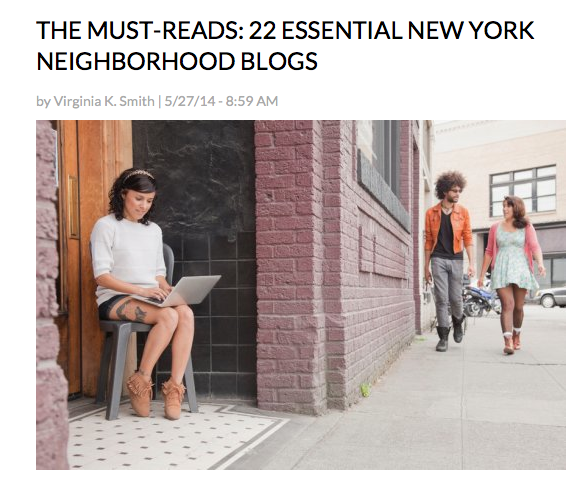 There's one lane of traffic and zero foot traffic on that block. I can't imagine any business will do well there.